"The Divine Director is a Great Cosmic Being, Who is authority for the conditions of Earth. When mankind began to turn from the light He was rendering service in a similar capacity as a messenger. He pointed out what their attention could lead them into; which has resulted in the difference between Them and us nowjust thought and feeling, it can be summed up to attention, then feeling will follow. Mankind would not listen. He refused to go the way of mankind but in-stead attained His eternal freedom and is now today such a great authority in the worlds of the people of Earth. 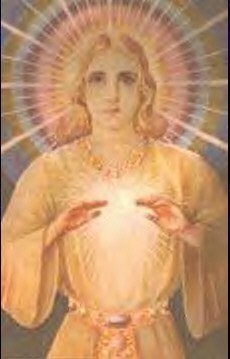 He was Saint Germains Teacher and He is the One known at inner Levels as the Master R. He is the One Who founded the House of Rakoczy. Saint Germain working under Him and with Him in a similar manner as Jesus worked with Lord Maitreya, Saint Germain car-ried out His service and used His name during a time, in middle Europe. The Divine Director observes every lifestream at a certain point and when they can be of assistance to man-kind He transmutes their human creation. That is the reason for the Cave of Light in India where many have been freed through the centuries. He is the authority to determine whose human creation may be consumed and transmuted for him or her and to what extent, in part or completely. He has for more than two hundred thou-sand years assisted lifestream.s to perfect the outer mani-festation of themselves. He now gives His assistance to students in the outer world. He has transmuted the human creation of many hundreds of students since this instruction came forth. In classes He would draw the power of light from the Cave of Light there in India. He will enfold one in His light rays and transmute the shadows. One can call to Him to set aside time and space, which means to be set free from the pressure of human creation in the atmosphere; and the transmuting of ones own human creation sets him free from that. The eternal now is the absence of time and space, a state of conscious-ness with only the PresenceGod in action. Ascended Masters do not recognize time and space as we know it; distance is not considered by Them. He started the action of projecting a disc of light into the emotional bodies of all young people in America in 1937. This acted for all the students too. It is a violet disc about the size of a dinner plate, which rotates, drawing the discord in the feeling world into it. The inner action of it is similar as to what liquid light would do. He enfolded every sincere student, when He first came forth in an action of the Three-fold Flame which He placed around them; It is larger than the physical body. Give recognition to it and visualize the Three-fold Flame in the heart expand and become one with It. He will give assistance in expanding the Golden Man in the heart (which is a replica of ones own Christ Self when his light has expanded beyond a certain point), and the point of light in every cell; expanding the power of light in each one. The Divine Director represents the seventh root race. His is the responsibility and authority for this race. It is for this reason that He has during the past twenty years or so gone to such tremendous effort to give assistance to free as many individuals as possible, in an endeavor to set up actions that would bring about the redemption and complete purification of Earth, setting all mankind free, thereby providing a place for His root race to embody and complete their evolution. He is a Member of the Karmic Board, representing the first ray. He represents an action similar to the Christ Self (Higher Mental Body) to mankind. He will give assistance to adjust things in legal matters. He is around six feet, four inches in height."